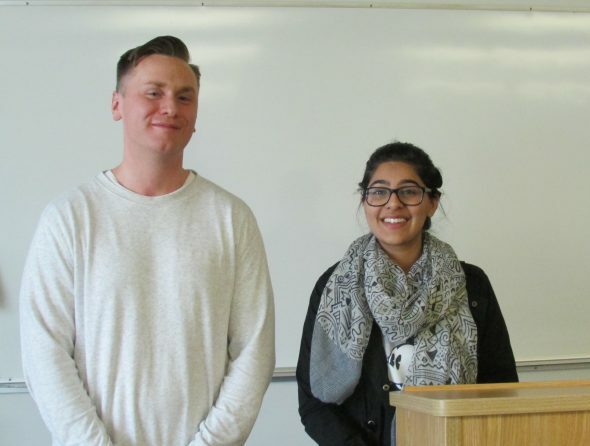 According to Science in Action Club executives Priya Purewal and Nathan Speirs, over 100 people participated in its Health and Wellness Convention in September. There, they brought people together to learn about the many dimensions of health and well-being. The Science in Action Club came into being when the Biology Club and Horticulture Club, after years of cooperating and collaborating, merged. Marking this milestone was their first SAC meeting, held on Nov. 17. The meeting was led by Purewal, who works with the club’s internal and external communications, and Speirs, SAC’s event coordinator. The group discussed ideas for future fundraisers, social issues, and how to connect new recruits with leaders who can help them succeed in their field. Since she is nearing graduation, this will be Purewal’s last year as a member of the club. She believes that the Health and Wellness Convention is SAC’s greatest success so far, and aims to increase student enthusiasm about getting involved. Purewal and Speirs agree that they hope to facilitate connections between students and professionals in the industry through SAC. For instance, they plan to invite researchers and experts in health and science from other universities to make public speeches at KPU. At the end of November, SAC sold honey in mason jars donated by KPU’s beekeeping department to raise funds for club activities and events. Check out KPU Health in Science Club on Facebook or email healthscienceinaction@gmail.com for more information.